What Do Elon Musk, Frodo Baggins, & Luke Skywalker Share In Common? Since reserving a Model 3, I’ve been streaming every video about Tesla and Elon Musk I can get my hands on. As the information regarding Mr. Musk’s background and career came streaming in, it suddenly dawned on me that the man had completed the classical tale of “The Hero’s Journey.” Are you familiar with the myth? If you don’t think you are, you actually are. You just haven’t gotten around to reading any Joseph Campbell and putting a name to it. If that is the case, may I fill you in on the myth and how well Elon fits into it? Mythologist, writer, and teacher Joseph Campbell popularized the idea of “myth” for his generation back in the middle of the 20th century. In his early 20s, sometime after graduating college with an MA in Medieval literature as well as a number of athletic awards for track and field events, Campbell decided that the next chapter in his life would be about going up to Woodstock, NY, to live alone in a shack for five years … and read. When Campbell emerged from the woods, he brought with him a deep knowledge of ancient civilizations and their mythologies. Campbell had discovered that there are certain stories … tales … myths … that are common to all societies. Even remote civilizations having no contact with the outside world shared in these archetypal stories. One of the most popular of these myths is the tale of The Hero’s Journey, which Joseph relayed in his first book The Hero with a Thousand Faces. The gist of the story is that a child growing up in the village is not entirely content with the world, and in fact is a bit of a misfit. The individual is not cut out to follow the path pursued by most others in the tribe, and at some point answers a calling to depart from home and embark on a journey of self-discovery and transformation. The departure of the hero often occurs at a time when the community has been exposed to a great danger. The hero steps into a new, seemingly magical world, meets many people, and has many adventures. During the journey, the hero undergoes a life-threatening ordeal in which great suffering is experienced. Ultimately, the hero not only survives the test (often with the aid of supernatural forces) but discovers a treasure, or what Joseph Campbell termed an “elixir” of great value. The hero returns home with the elixir and uses it to free the village from danger. We see The Hero’s Journey played out repeatedly in classic literature, with tales such as Beowulf, Odysseus, Alice in Wonderland, The Wizard of Oz … as well as in modern mythological tales such as with Frodo in The Lord of the Rings, Neo in The Matrix, and Luke Skywalker in Star Wars. George Lucas was a fan of Joseph Campbell and credits the scholar with inspiring the Star Wars saga. Luke goes through the entire cycle of the hero myth: a darkness overshadowing the land, Luke being called to service, declining at first, being forced from his home to pursue an adventure, finding the courage to follow his path, and even receiving assistance from a “wizard” who saves his life (“You don’t need to see our identification” and “This little one’s not worth the effort… come, let me get you something”) and later urges Luke to victory (“use The Force, Luke”). Luke survives his ordeal to triumph over evil and free his people from tyranny. There are several points along Elon’s path where the notion of facing death plays out. At the physical level, there is the instance of contracting Malaria, and later the near-James-Dean-style high-speed crash of his beloved McLaren F1. There’s the staircase story mentioned above. In a metaphorical context, a number of his extreme business enterprises (where virtual death is easy to come by) faced almost certain termination at some point. In fact, the challenges came to the hero lumped together in a mega-failure setup in which SpaceX, Tesla, and SolarCity were all on the verge of being ploughed under amidst the financial Armageddon occurring on Wall Street. Not to mention that Elon’s eight-year-old marriage was running out of gas. In a Hollywood-style climax, Musk puts the very last of his fortune into play, going all-in on a gambit to save Tesla. 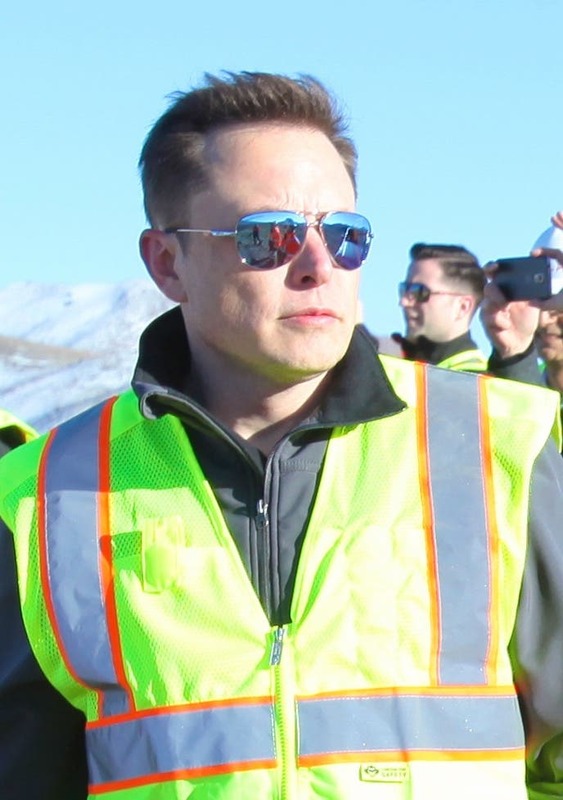 Venture capitalist Steve Jurvetson, who knew Elon from when the inventor first landed in California, characterized the move as an “act of heroism” that incited others to follow him into the abyss (with further funding). Elon characterized the late 2008 events as “facing imminent death.” He’s also spoken of the notion that entrepreneurs must “eat glass while staring into the abyss … if you don’t chew the glass, you’re not going to be successful.” This can be construed as a euphemism for stepping into the path of danger and facing whatever comes. Suddenly, the ordeal is complete. The launch is successful. Tesla is saved. SolarCity takes off. The hero has passed the test and returns with treasure, not just for the village, but indeed all mankind. And an incomparable treasure it is. The elixir is not just existing technologies being put to work in new and productive ways. It’s not simply opening the door to affordable space exploration, or to sustainable energy production. It’s arguably the promise of a new chapter in world history as an age-old system of thinking introduced by Aristotle (“first principles reasoning”) is reactivated by Musk as a tool to plan the future. Elon Musk photo by Steve Jurvetson (some rights reserved). Many have taken The Hero’s Journey. Elon Musk happens to be an extreme and very public example. You likely know of someone who has embarked on or completed the ordeal. Perhaps yourself. We can look to Elon’s story for inspiration to find the courage — at the moment it’s needed — to press forward on your own path. Elon was tested perhaps more severely than others … and survived. His journey gives us a contemporary reference model to go by. But take care. People have a tendency to idealize their heroes. Heroes are not perfect. I promise you, Elon Musk is a flawed, imperfect human being, just as you and I are. Deficiency is baked into the cake. If we think of our heroes’ as blemished, then we won’t be disillusioned when they make mistakes. We won’t have illusions in the first place. Most people, fail or succeed, are doing their best, and Elon Musk is no exception. Consider giving him some leeway when he fails to meet your expectations. Most importantly, forgive yourself whenever you “fail” on your own journey. Failure is part of the process. Without failure, there is no success, just as without darkness, there is no light. Let’s close with quotes from both Campbell and Musk. Joseph: “Follow your bliss and don’t be afraid … and doors will open where you didn’t know they were going to be.” Elon: “Never give up … really like what you do.” (2 of his 10 rules for success). Short video with Elon explaining “first principles reasoning” and 10 rules for success. Tells story of McLaren crash as part of an informative one hour interview. A 7-minute video on the subject.